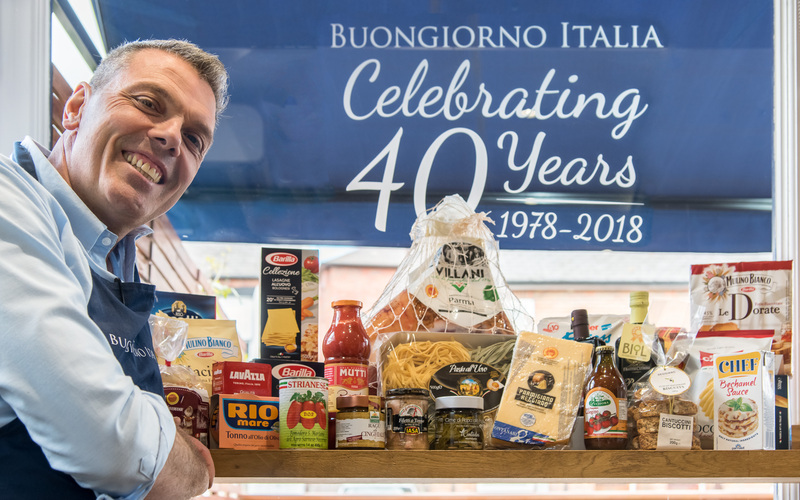 Established over 35 years Buongiorno Italia in St Albans is run by Antonio Picciuto and his friendly staff. Antonio prides himself on stocking only the finest top quality products. From seasonal fruit and vegetables, including Italian Fennel, wild mushrooms, vine tomatoes, and prickly pears, to Italian Cheeses, pasta, pesto, wines salami, Parma ham olives and antipasti – in fact, everything you need for an authentic Italian kitchen, which is why Buongiorno Italia is so popular with Italian Locals and all food lovers. In fact it is the kind of shop you expect to see in a small Italian village not a bustling English city. This pleasant welcoming multi award winning deli is St Albans longest established Delicatessen.